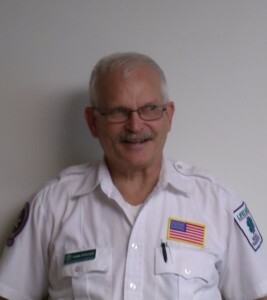 Hank Pfister has been providing care as a LifeCare Medical Transports Paramedic for over five years, serving those in need in the Southwest Region of Virginia. His excellence in patient care and customer service earned him the position of ALS Field Training Officer. Hank is truly a staple at LifeCare. He is a go-to provider for any question about policies and protocols, and his peers look up to him as a gentleman who always goes above and beyond the call of duty. A hard-working, loyal employee, Hank has earned the respect of not only LifeCare’s employees, but also the staff members of the hospitals and residential facilities in the region. They can count on his clinical competency and compassion. Hank is the gentleman who will help out a friend or stranger in need without the expectation of thanks. That is why his fellow providers have chosen to nominate him as a Star of Life award recipient.